Lunch at Taisho Teriyaki Grill, in the shopping center at the corner of Huntington and Fifth Avenue. 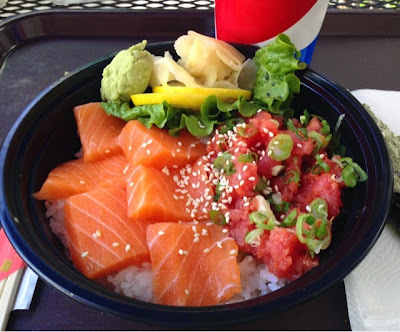 Got the Combo Sushi Bowl with spicy tuna and salmon ($10.95) and a drink (1.65). Came with seaweed. Very good.